The PTI-led new government has spoken about austerity. Austerity in the way government officials live, in their expenditure and in their ministries. But what about their protocol? President Dr Arif Alvi arrived in Karachi on Friday night for the first time since taking office and was escorted by 27 vehicles. President Alvi was received by Chief Minister Murad Ali Shah, Governor Imran Ismail and other officials of the Sindh government at Jinnah International’s Terminal No 1. He traveled from Islamabad to Karachi via a private airline and boarded the plane with other passengers. After resting at the airport’s VVIP lounge, he was taken to the State Guest House. His convoy included 27 vehicles and roads, including main Sharae Faisal, were blocked for his motorcade. The PTI has been vocal in its opposition to VIP protocol. 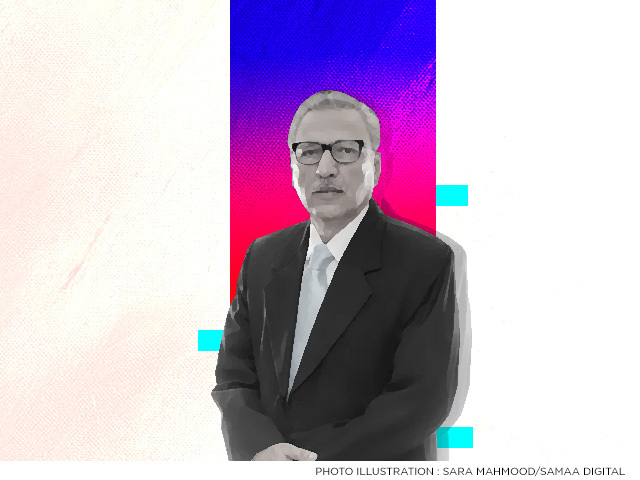 After the backlash on social media, President Alvi tweeted that he requested the officials to not embarrass him with a long chain of protocol. However, they didn’t listen to him. PTI Sindh Senior Executive Vice-President Haleem Adil Sheikh claims that the president’s protocol has been reduced from 16 to three cars. “There’s a difference between protocol and security. The protocol wasn’t all for the president. It was also of the officials who came to receive him,” he clarified. President Alvi confirmed this via a tweet. When Dr Alvi visited the Quaid’s mausoleum he was accompanied by a motorcade of 13 cars.